The turkey burger. 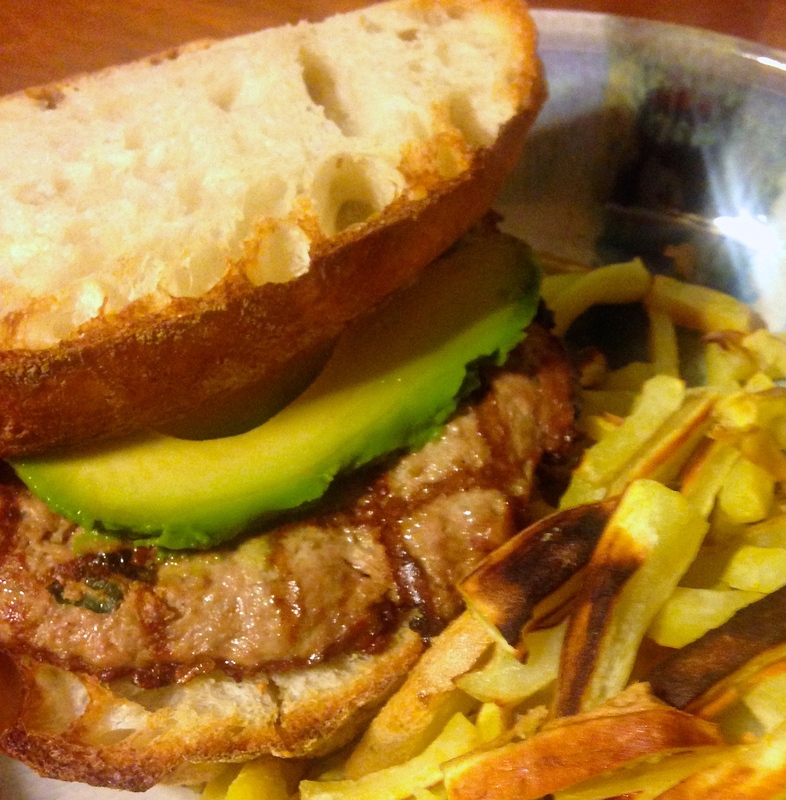 The humble cousin of the American classic beef burger. The dry, crumbly, healthier version of a legend. To me, turkey burgers and sweet potato fries represent a bridge from the American cuisine I grew up with to the health oriented, gourmet style scene that American food is becoming. There was a time when offering a turkey burger and sweet potato fries was akin to shining a Bat Signal in the sky to people who had any interest in eating healthy. Throw in a few house made soups and an espresso machine and you had yourself a healthy cafe. The turkey burger was a symbol of all that. Back then when you “ate healthy” you accepted that the food you ate wasn’t going to be that good. Dried out turkey patties, vegetarian options loaded with pasta and cheese… good, healthy restaurant food takes a certain finesse and passion that most places didn’t place a premium on. As their customers changed, many restaurants did with them, and thankfully now we can get some options that make us feel better about our waistline (and the planet) all over the country. Except we’re at home and we can eat as deliciously healthy as we choose. So skip the sleeve of frozen turkey pucks and make your own. One pound of ground dark turkey meat. White meat is acceptable but dark is better. More flavor. Put the meat in a mixing bowl. Three dashes of soy, three dashes of worcestershire sauce. One dash of olive oil. Two pinches of good salt and several grinds of black pepper. Take a piece of ginger half the size of a man’s thumb and grate it with a zester or the fine side of a cheese grater until it’s almost gone. Mix it up with your hands. Use a glove if you want. 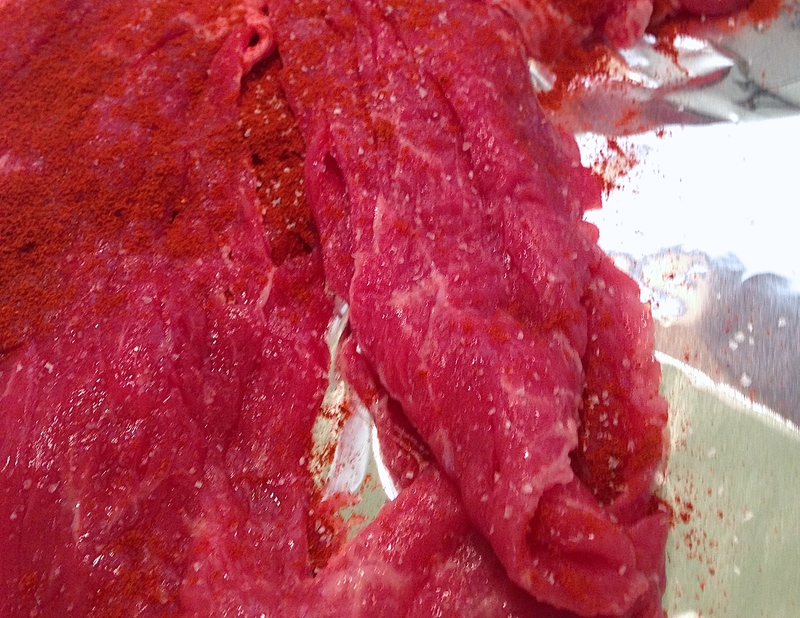 Then, take a quarter of the meat and place on a piece of foil or plastic wrap. 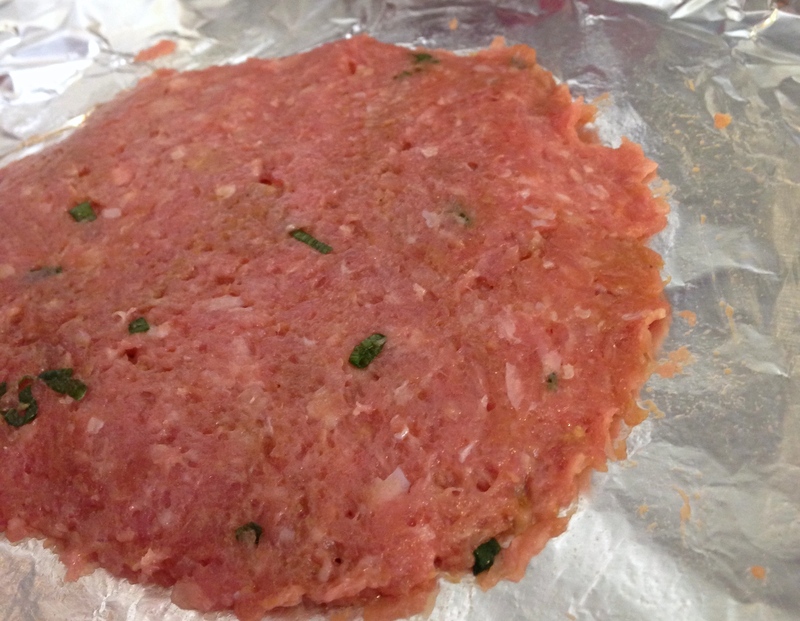 Use another piece to squish the patty thin and flat. This helps it cook quickly and get more grill flavor per bite. I leave them between the sheets until it’s time to get them on the grill / in the pan. Repeat until you have 4 patties per pound. Grill is better, almost always. Stove top is fine too. If you’re in a pan heat up some oil before you place the patty in. If on a grill, turn the thing on high and close the lid for awhile. Let it get real hot. Charcoal? Be a grill master. Enjoy the day. Once your cooking surface is white hot, place your burgers on. Do not squish the burger. Do not flip the burger. Do not touch the burger. If you’re at a party with a lot of guys who want to contribute to the grilling, appoint one of them to be sergeant at arms and tackle anyone who tries to touch the patties. Want cheese on it? Cheese and Asian flavors don’t have a long and fruitful history but why not. Place room temp cheese on the patty as soon as you flip it. Close the lid to the grill or place a piece of foil over the pan to help melt it fast. Don’t overcook the meat to melt the cheese. My mother is an exceptional cook. She grew up in a time and a city where families of European immigrants lived clustered together in neighborhoods named after their homelands. It became my stomach’s good fortune that “French Hill” happened to border “Italian Hill”. While the children were off to school and the men off to work, generations of women would cook their family recipes throughout the day in anticipation of their families return. It was the smells of the neighborhood that got my mother most hooked on food. She spent days with other peoples’ grandmothers learning the foods they had learned from generations past. I didn’t spend much time in the kitchen with my mother growing up, I was too busy taking the fresh and delicious food we ate for granted to do that. It wasn’t until I had grown and moved out that my enthusiasm for food began to take shape. I did, however, learn through osmosis what amounts to a master class in food and family theory that continues to this day. Her excitement about other culture’s foods really stuck with me. I can’t eat or smell something for long without dissecting the flavors and learning to make some version of it. Like many staples in my family’s home, my inspiration for yesterday’s meal began in my neighbor’s kitchen. One whiff of their grill on my way out the door and I knew Mexican would be on the menu. 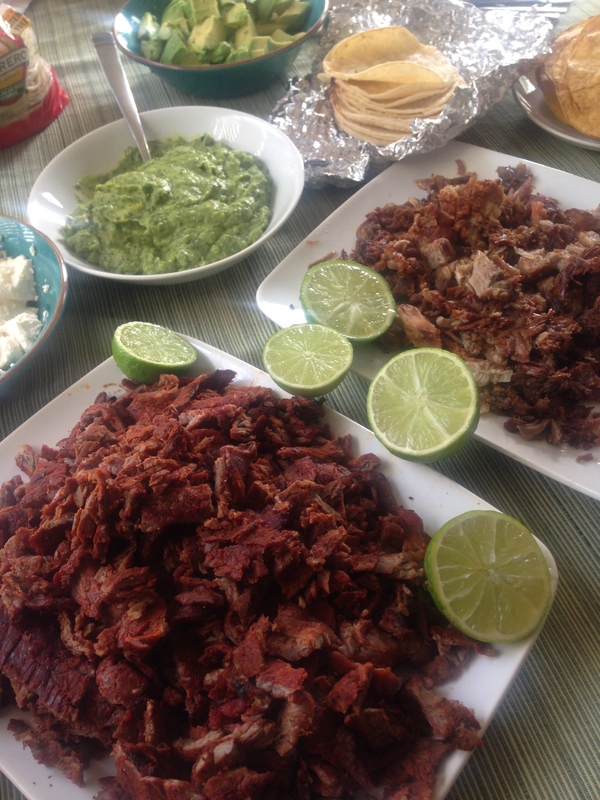 While I won’t pretend to know an Abuela’s version of carne asada I’d like to think she’d enjoy it if she had some. You’re always welcome Abuela! I’m almost to the point. So yesterday we had the conference championship games for American football. These days have become informal holidays in the States, the bigger the game, the bigger the group. Friends and casual fans come out of the woodwork while we light our fires, cook our meats and yell at men dressed in stripes. Depending on your rooting interests, they can be the best and the worst days but there is always food to keep us busy. 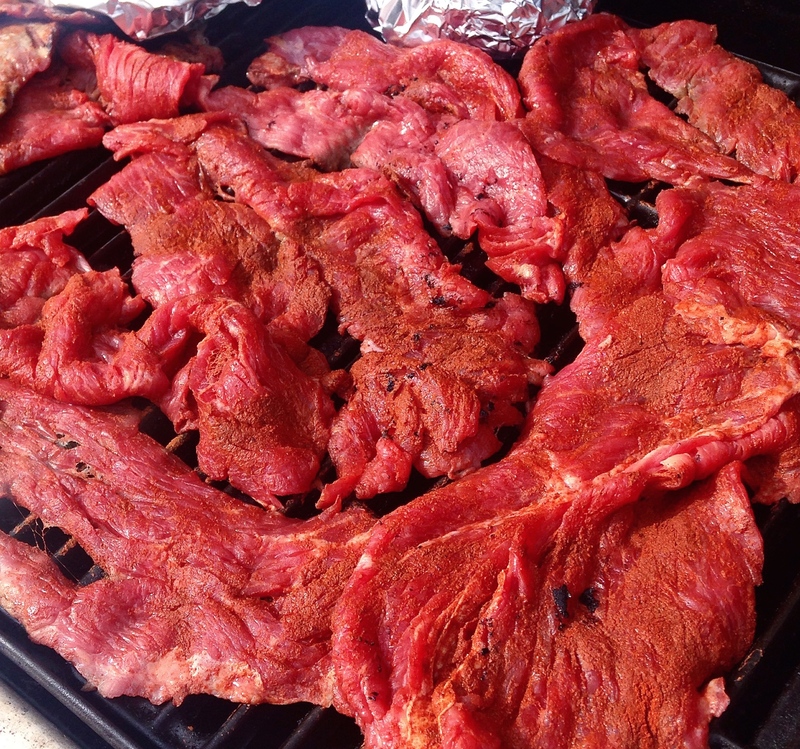 Yesterday while the Green Bay Packers cruelly teased their fans with early dominance, I was buzzing around a friend’s kitchen preparing some Carne Asada. What’s that? Don’t live 100 miles from the Mexican border? 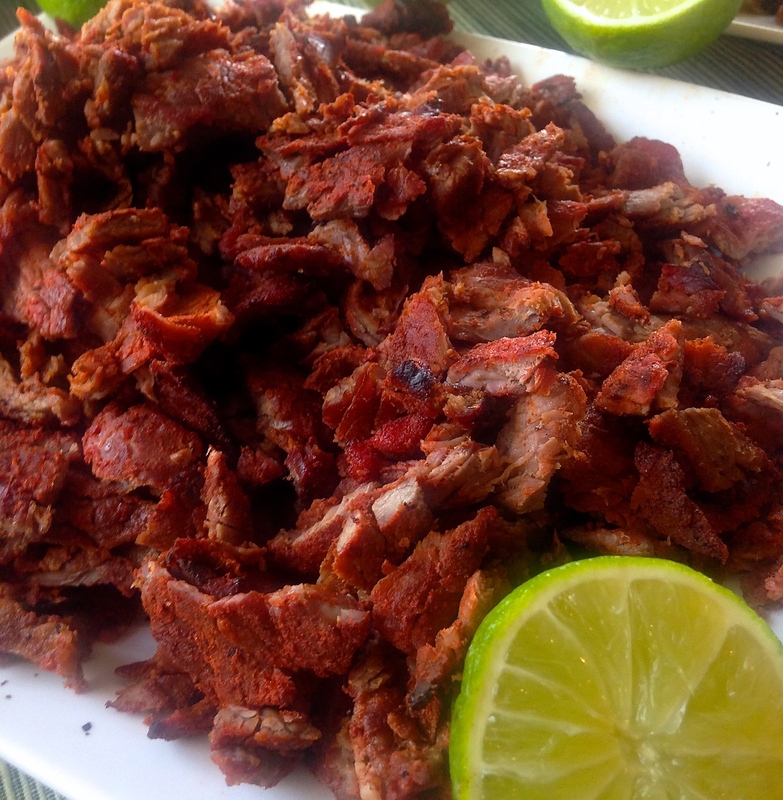 Carne Asada is seasoned flap meat, cooked nearly well done and usually served in tacos or burritos. It is best grilled. Serve it with your favorite Mexican condiments. I prepared fresh salsa, chopped avocado and a cheese called queso fresco. Sour cream, shredded cheese and jarred salsa would do just fine. Tortillas too, of course. I now owe you a post on salsas and condiments. Soon. For today we’ll focus on the meat. Ah yes, the meat. But what is flap meat? So many questions. Flap meat is a cut found in the bottom sirloin. It’s cheap, well marbled (fatty) and very thin. Buy it in hispanic grocers by the pound. The French call it “bavette”, some South Americans call it “vacio”. I call it delicious. If you can’t find it, use skirt steak or anything you can find that is thin and flat. Serves 6-8. Takes between 30-60 minutes. See? Easy as pie. Not that pie is easy. Especially if you’re preparing your own crust. Flap meat is often sold in a bag. Keep it in there for a moment and splash some olive oil on it, enough to cover most of the meat with a light layer. Shake it up, then lay it out flat on a platter or a sheet pan if available. I used foil to keep the amount of dishes down. 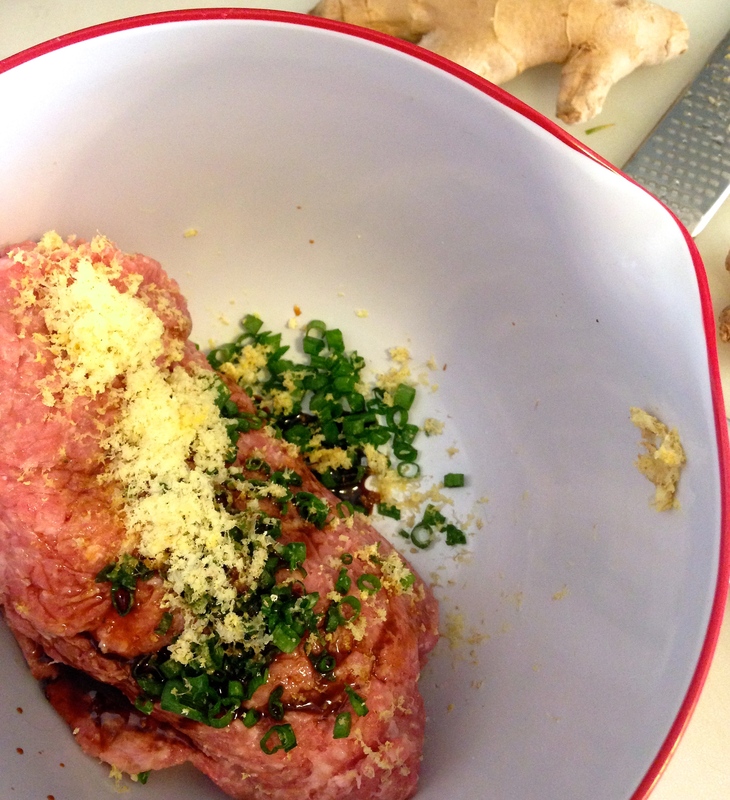 Sprinkle a layer of salt on both sides of the meat and a layer of chili powder on one side. Repeat this on all the steaks. Set aside. 5 minutes? Half hour? Overnight? Your call. The salt tenderizes the meat while making it delicious so you do have some incentive to wait. If you’re in a hurry, say you want to stop cooking and watch football, rush this part. No biggie. Get your fires hot. 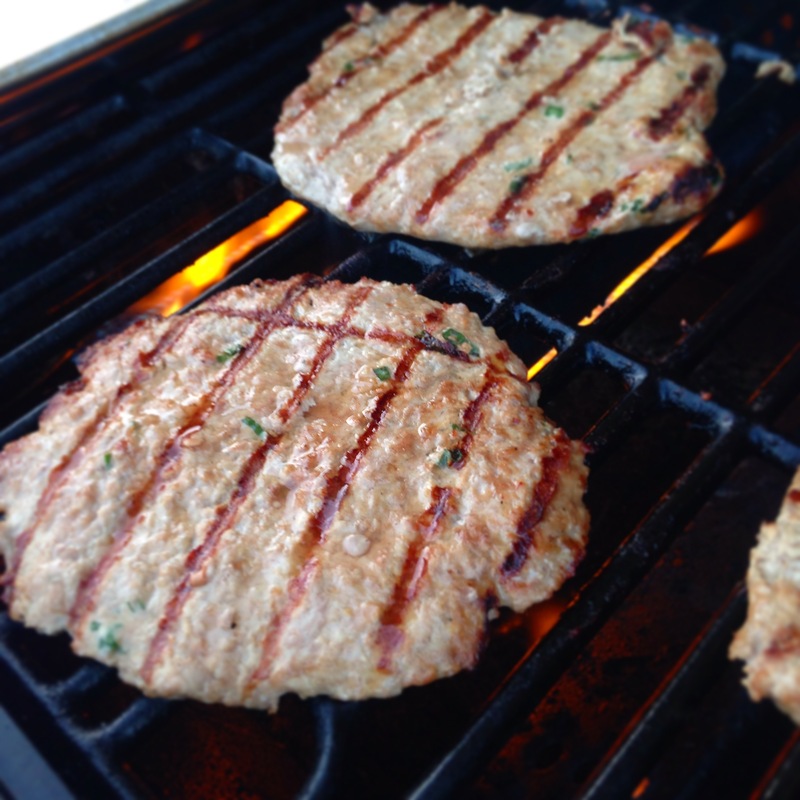 Medium high / high on a gas grill, if you’re using charcoal you’re obviously not in a hurry. Get a nice pile of coals going and have a beer. Enjoy your task. Just before you put the steaks on the grill dress with lime juice. Give them a minute. Place the steaks on the grill, add more lime juice and let them cook. You do not want your flap meat cooked to medium rare. You need to cook it so the fat and proteins start to break down. Char that side, flip, add more lime juice. Chop up your limes into quarters and halves and heat some tortillas wrapped in foil on a less hot part of the grill. It helps to flip the tortillas like pages in a book before you heat them. You don’t want them to heat up and fuse together. When the steaks are well done and have some burnt edges, pull them off the grill and dice them up good. Serve with tortillas and bowls of Mexican condiments. Grab a plate. Go sit down and watch the game.